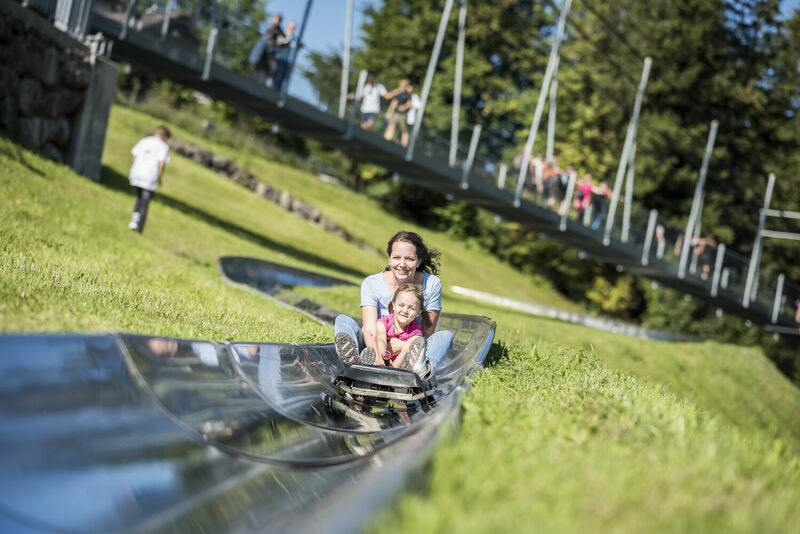 The Stuckli Run, a summer toboggan run next to the mountain station of the revolving gondola, features steeply banked curves and tunnels and plenty of fun on 600 metres. Upon reaching the bottom, you can be towed back to the top comfortably for your next downhill thrill. Would you like more fun? 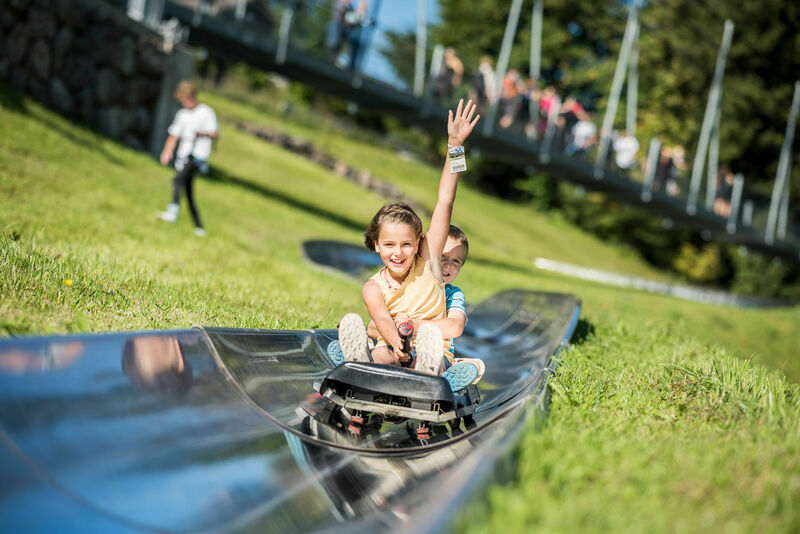 Our day ticket and family specials offer unlimited use of the revolving gondola lift and Rondo's children's world all day long.